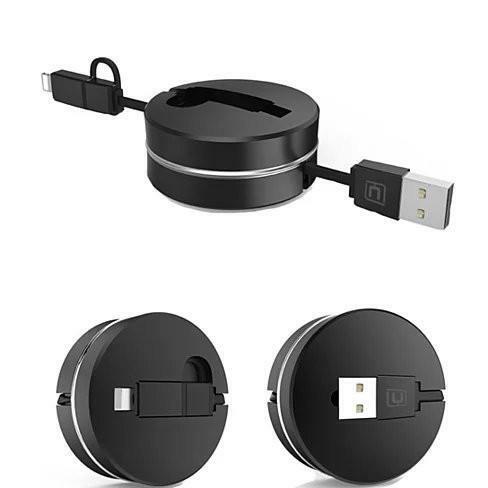 Puck N Roll is a mini pocket size Puck style cable.. Good things do come in small packages.. 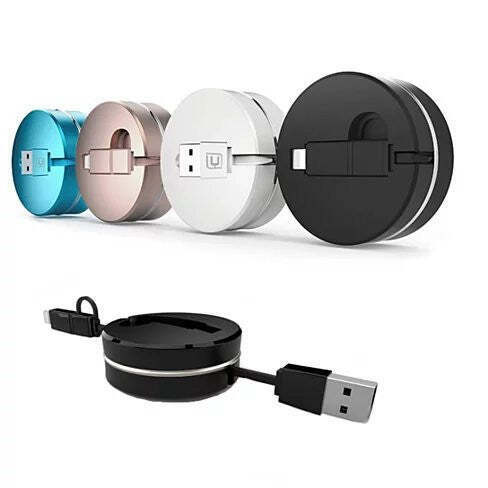 This cable can pull out to about 3 ft to charge your iPhone , iPad , Samsung Galaxy or Tablet and retracts and Rolls in side the Puck when not in use! 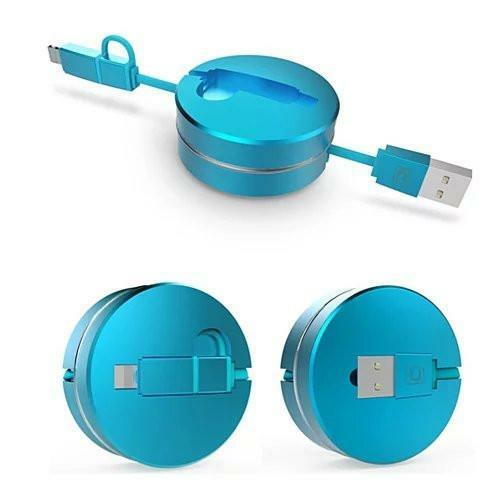 it has a lightning 8 pin and microUSB connector on one side and USB adapter on the other side, making this cable ulra compact and versatile to carry in your pocket , purse.. Travel anywhere with Puck N Roll.. No tangelled cables, no need to wind them! DETAILS: The outer layer of the cable is made from a good quality Polymer shield which increases your speed of charging and transfer. Length when pulled out is : 3ft ,when Retracted 2 inches by 1/2 inch Thick. 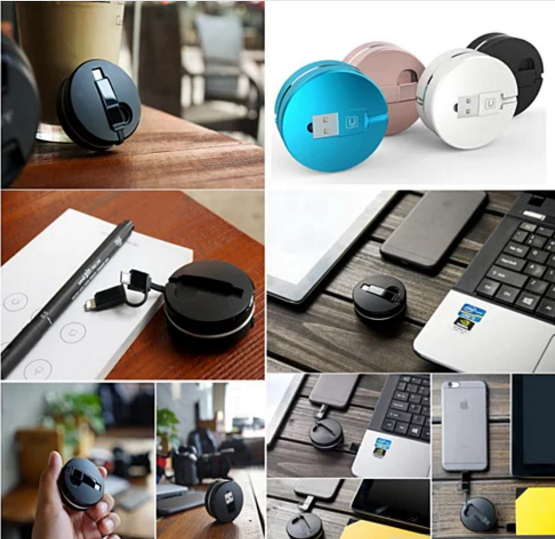 Fully compatiable with : All Apple iPhones and iPads that use smaller 8 pin and with all Android devices like Samsung Galaxy , Note , Tab , LG, HTC phones as well. It comes in multiple colors.